St. Paul’s recognizes the value of participation in athletic activities, not only for physical fitness, but also in sportsmanship, team-building and leadership development. It is the intent of St. Paul’s to provide this opportunity to students who meet and maintain eligibility based on academic, behavioral, and physical qualifications. These activities help the child to grow physically, mentally and spiritually. They assist the child in working with and for a team and most importantly to learn sportsmanship. During the fall, 5th – 8th graders are encouraged to participate in co-ed soccer. The soccer program began in 2008 and the team has been successful in their conference. 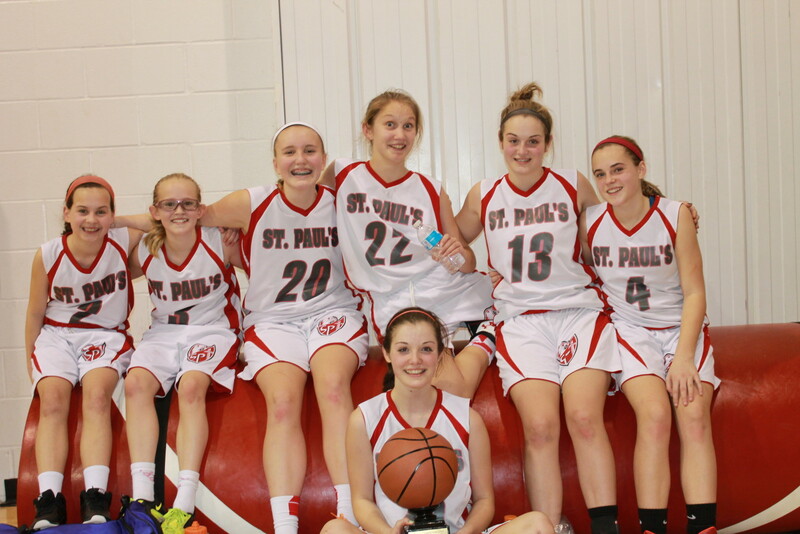 During the winter months, St. Paul’s offers basketball for 4th – 8th grade. The boys and girls basketball team are split into an A and B team. Both the boys and girls A teams have been successful in winning conference titles. Achieving an invitation to the National Lutheran Tournament in Valparaiso, Indiana is the ultimate goal for each team. The boys team has represented St. Paul’s in 2009 and 2013. The girls team has represented St. Paul’s in 2011 and 2015.